The summer of 1997 was a hot one for advertising. Online banner ads were brand new, YouTube was experimenting with video promotions, and Mastercard was putting the final touches on its first “Priceless” commercial. And, award-winning agency McKee Wallwork + Company (MW+C) opened its doors in a small, sublet office across the parking lot from a Walmart. 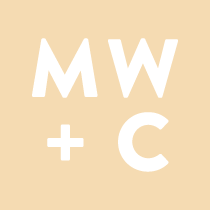 Since then, MW+C has helped hundreds of brands navigate change while weathering immense transformation in its own industry. The past twenty years have witnessed 9/11, the Great Recession, the advent of social media, the digital revolution, and other creative disruptions that have changed the playing field not only for advertisers and their agencies, but for businesses of all kinds. One of those disruptions came after the terrorist attacks on 9/11, when MW+C experienced two years of drift. That ultimately led to McKee’s landmark book, When Growth Stalls, which leveraged the agency’s groundbreaking national research to identify the key factors that hinder organizational growth and is now published in four languages. The book outlines MW+C’s core philosophy and established the firm as a respected leader in brand transitions. It also helped MW+C become a player in the national advertising scene. Over the course of its twenty years, the agency has attracted clients from throughout North America including Applegate Farms, Blinds.com, Bloomberg Tradebook, DaVita Medical Group, Fluidmaster, Gold’s Gym, Hammermill, Hyundai Construction Equipment, International Paper, Leading Real Estate Companies of the World, Lego Education, Mr. Rooter Plumbing, Tutor Doctor, and more. It has also partnered with iconic local brands such as Delta Dental, Dion’s, French Funerals and Cremations, Heritage Hotels & Resorts, Mark Pardo Salons, Presbyterian Healthcare Services, Taos Ski Valley, and Visit Albuquerque, among others. And its work has gotten noticed. MW+C has made the Inc. 500 List of America’s Fastest-Growing Private Companies, has won two prestigious EFFIE Awards for Marketing Effectiveness from the American Marketing Association, was recognized by Advertising Age as Southwest Small Agency of the Year, won Advertising Age’s national B2B Campaign of the Year Award, and has been recognized as one of the nation’s best places to work in advertising. Yet in the minds of its staff, the agency is just getting started.